The inventor of the Rubik’s Cube – Ernő Rubik – makes a rare public appearance at Georgia Tech. The inventor of the Rubik’s Cube – Ernő Rubik – makes a rare public appearance at Georgia Tech on April 11, 2018, at 7 PM. Aerospace engineering student Joshua Cherian has been looking forward to April 11 for weeks. 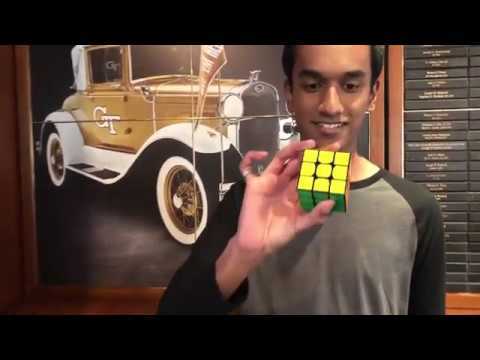 It’s not a milestone birthday for Cherian, but the day the inventor of the Rubik’s Cube – Ernő Rubik – will make a rare public appearance at Georgia Tech. Rubik, an architect and designer who lives in Budapest, will give a public lecture on a range of topics including design and architecture, the role of curiosity in the human condition, and his perspective on more than four decades of the Rubik’s Cube. The event is a Frontiers in Science Lecture, held Wednesday, April 11, from 7 to 8 p.m. in room 152 of the Clough Undergraduate Learning Commons. More information is available on the campus calendar. EDITOR'S NOTE: This article was adapted from the story of Victor Rogers posted originally in the Georgia Tech News Center on April 10, 2018.